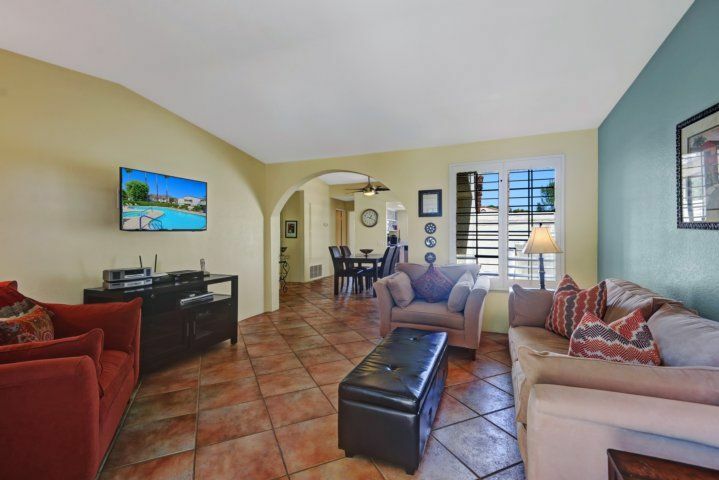 Unwind in our bright 2-bedroom, 2-bath Palm Springs condo on the Mesquite Country Club golf course! 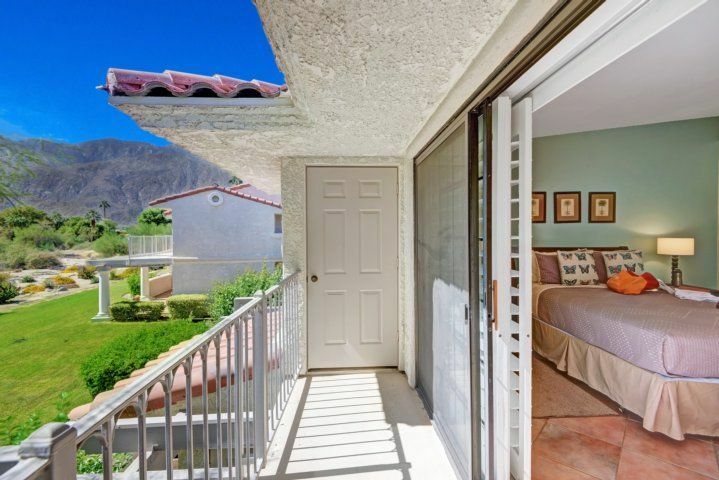 Dramatic views of the desert mountains abound, and our central location puts you within a 5-minute drive of downtown, shopping and museums, and 5 minutes from the Palm Springs International Airport. 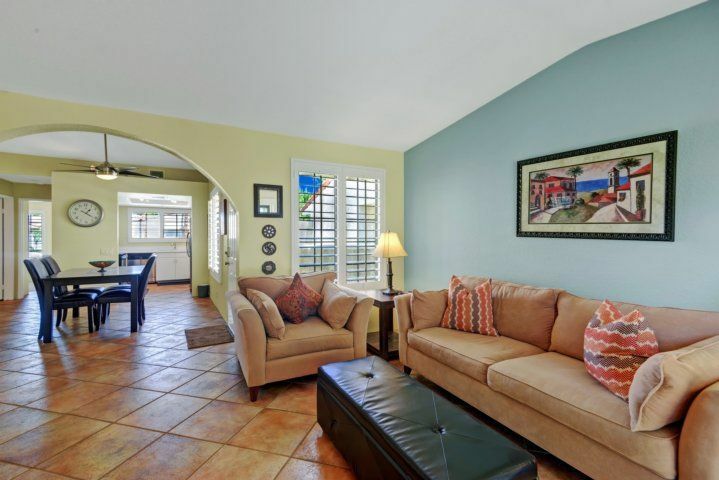 Explore the area by bike or on foot, or pick up ingredients for dinner at the farmers market, all within minutes of this condo. We provide a pair of bikes! Want to relax? 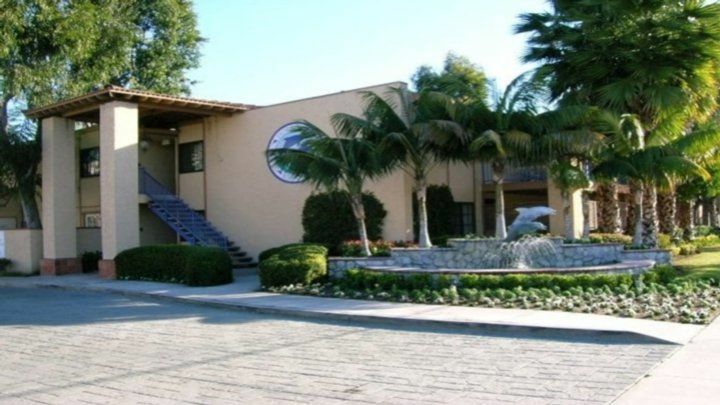 Read by the community pool, play a game of tennis or enjoy 18 holes of golf right in your backyard. Other amenities include a front balcony complete with propane BBQ and dining for 2. More people in your group? 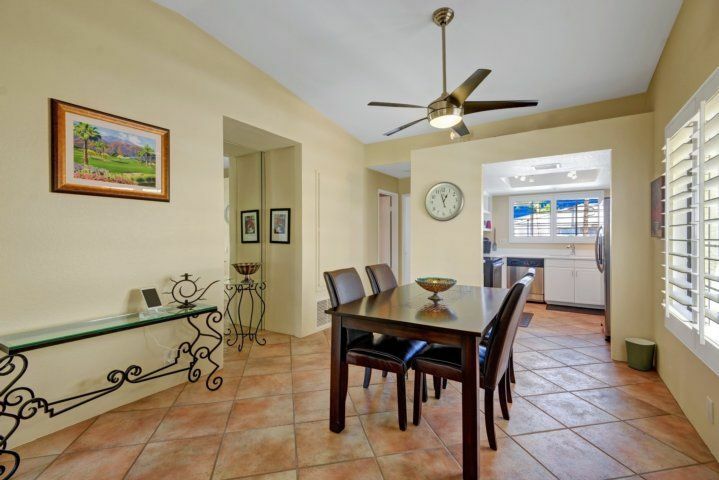 Enjoy the back patio with seating for 4 overlooking a lovely golf course! 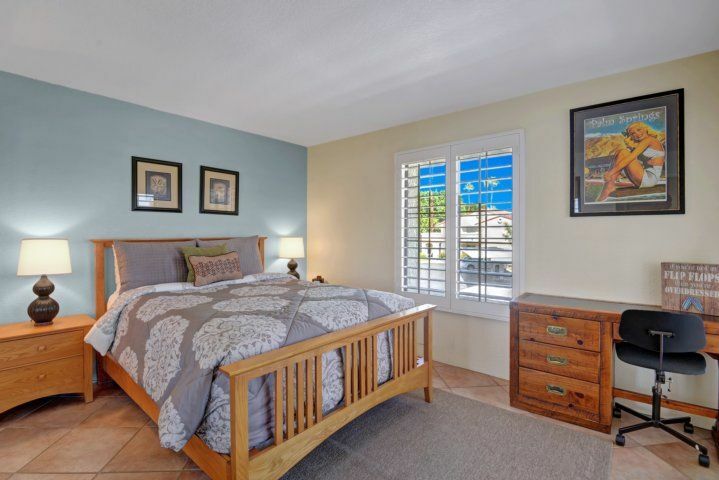 Our home features 2 bedrooms, including a master with mountain views, a queen-sized bed, and an updated en suite bathroom. 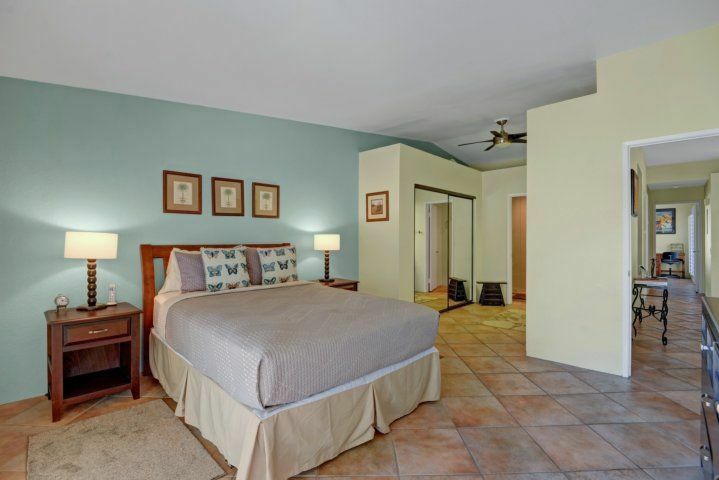 The guest bedroom also has a queen bed, plus access to the front balcony and a separate bathroom with a decorative glass and tile shower. Pack light: there is also a washer and dryer in your unit! 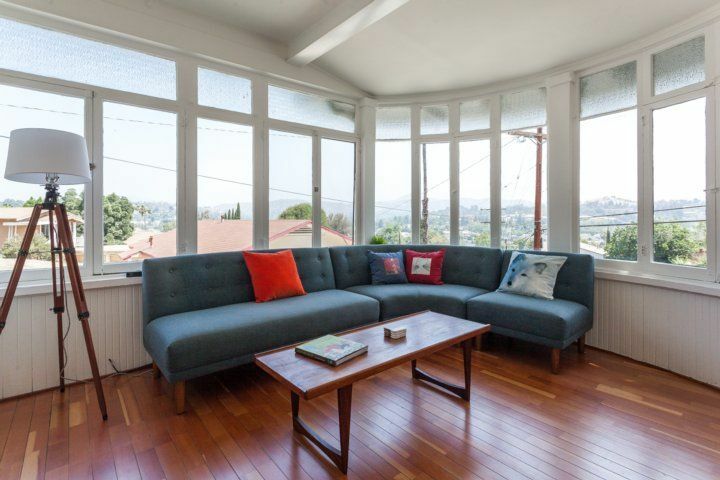 In the living area, a sliding glass door showcases the garden and keeps the space bright and welcoming. There is seating for up to 4 people to watch the wall-mounted flatscreen TV together. 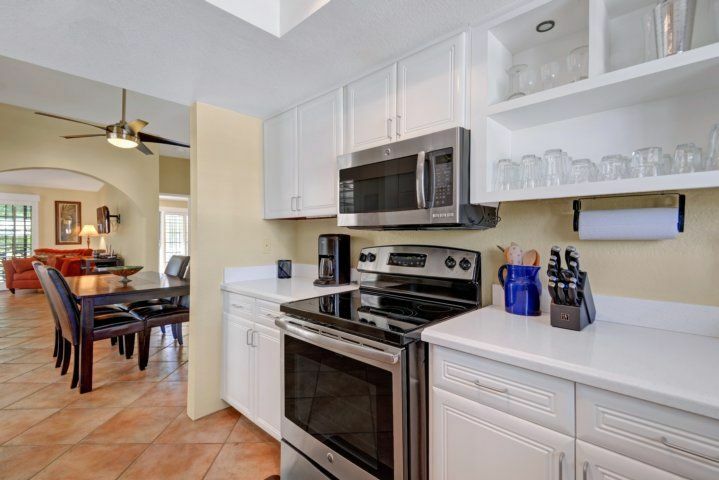 Prep your grill veggies and meat in our kitchen, which has stainless steel appliances and plentiful counter space. 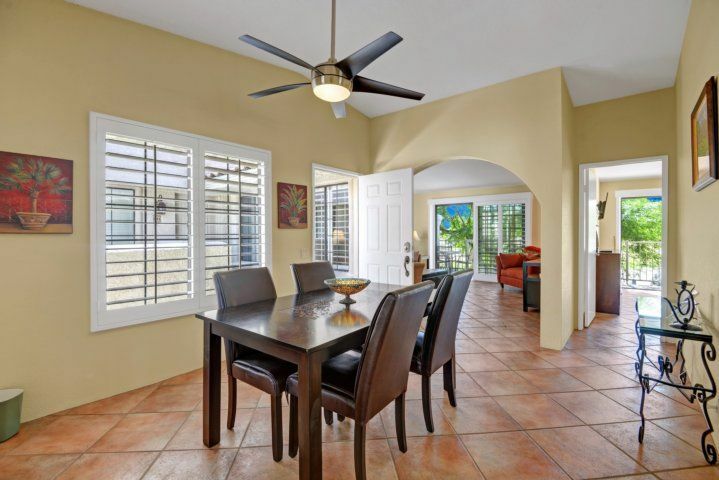 Indoor dining for 4 is adjacent to the kitchen in the open dining area. 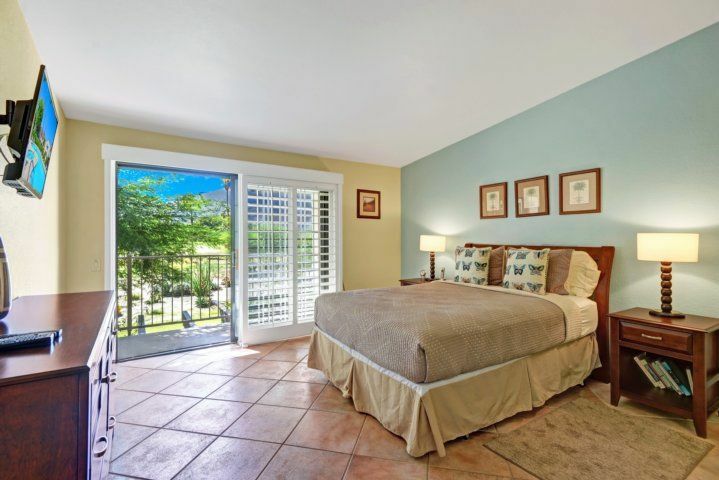 Want to enjoy all of downtown Palm Springs, then return to a cool, serene oasis? 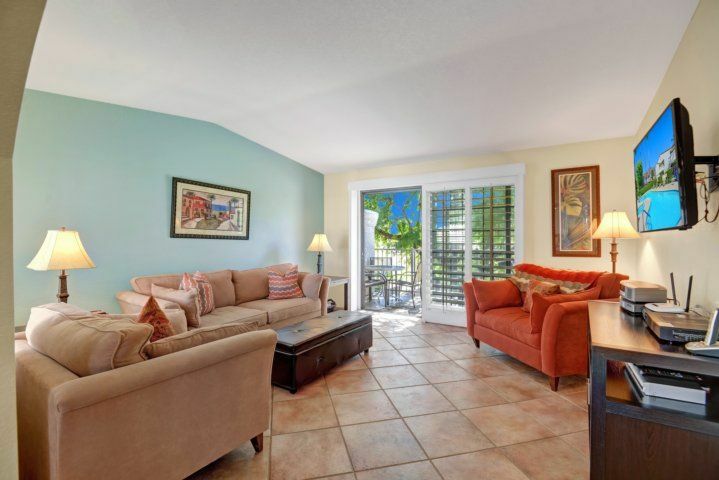 Our condo is the perfect spot for you! 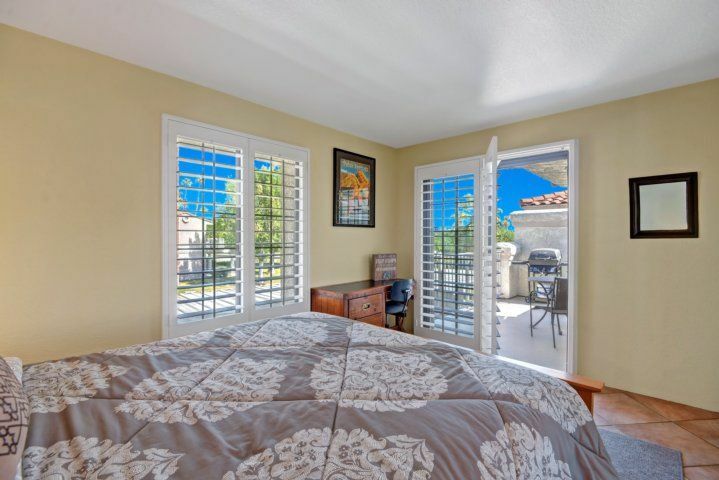 Majestic mountain views are just outside, and you?re close to the sparkling community pool and spa. Or venture to the Wet n? Wild water park, just a 5-minute drive away! If you?d rather spend the day golfing and taking in the views, try the Mesquite Country Club?s courses. Then enjoy lunch with mountain views at the on-site restaurant. Or take a 5-minute drive and sample the iconic Elmer?s Restaurant, serving breakfast, lunch and dinner since 1960! A guest from Tumwater, WA recommends this property. 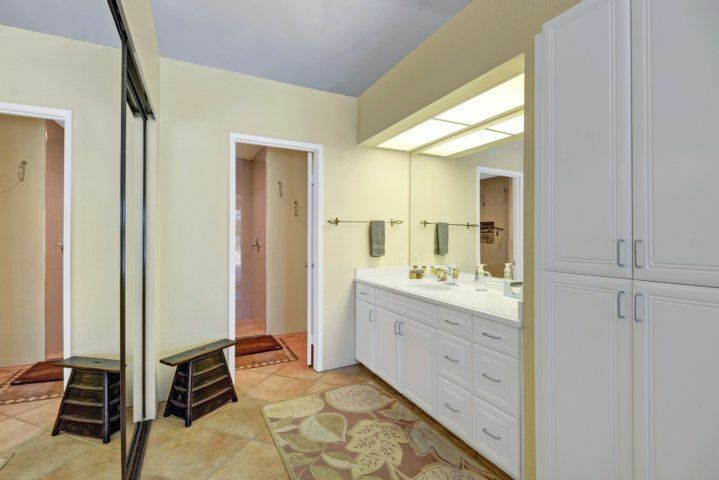 A guest from Tumwater, WA recommends this property. Stayed for 3 days in May, 2017 Was clean and well maintained. Exactly what the description and pictures showed. I would stay there again. 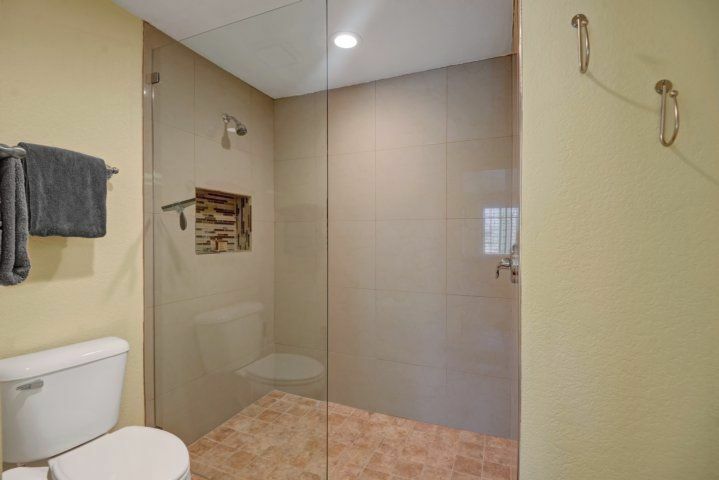 Bill M. from Calgary, AB recommends this property. Susan B. from Halfmoon Bay, BC recommends this property. 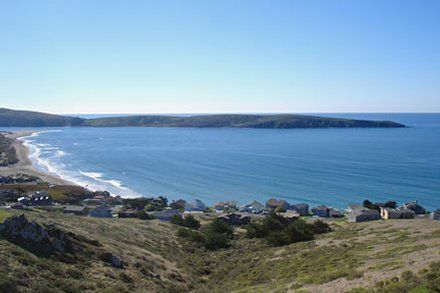 Susan B. from Halfmoon Bay, BC recommends this property. 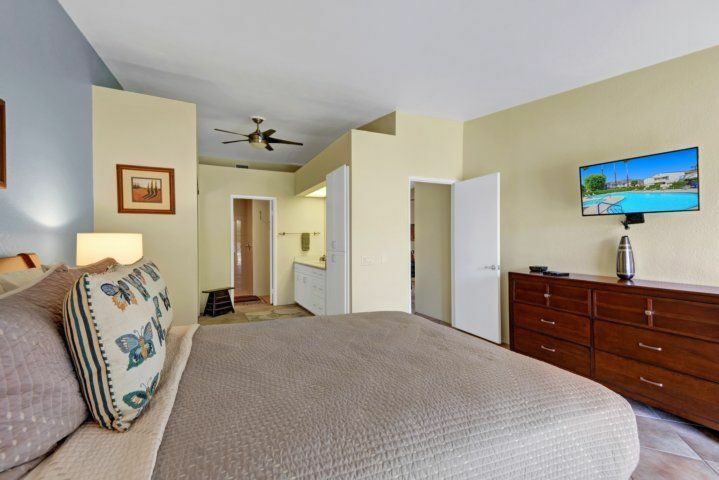 Stayed for 14 days in January, 2018 I recently spent two weeks in the Mesquite condo in Palm Springs. We loved the location of the complex but the unit we where in did not get any direct sun, this would not be a issue if it was later in the year but we where often cold and had to turn the heat up. The layout of the unit is lovely, two bedroom and opposite ends of the condo, lots of space. To be honest we did not feel that the kitchen dishes, glasses, pots and pans reflected the cost per week. It had three wine glasses, no highball glasses at all, the others provided are the kind that you can drop and they will not break. The dishes where miss matched and many where chipped. The pots and pans need to be replaced. We where disappointed to see that the complex does not recycle. On a brighter note, the beds where comfortable, the sheets and towels where wonderful. Freda N. from Calgary, AB recommends this property. 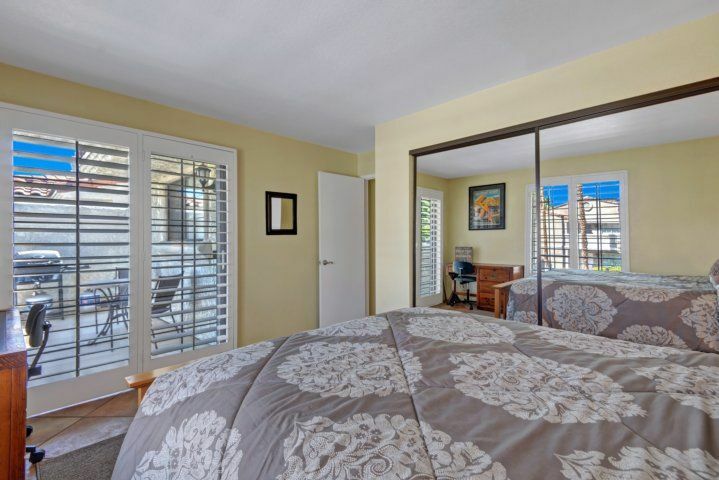 Freda N. from Calgary, AB recommends this property. Stayed for 7 days in April, 2018 Quite satisfied with our condo. 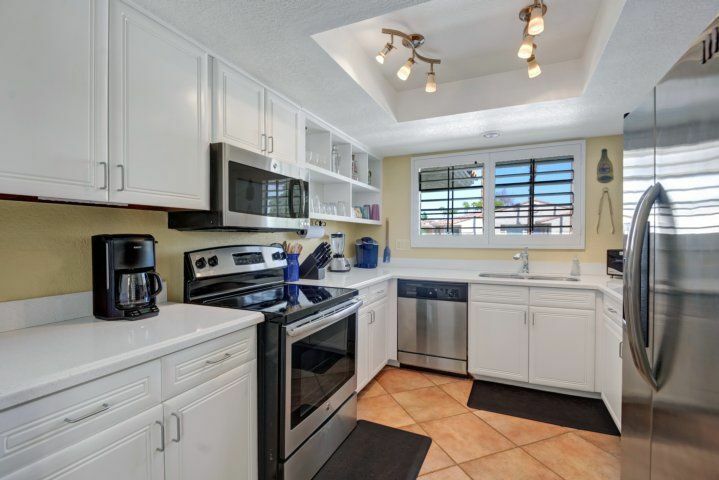 Very clean and kitchen equipped well. We could have had more instruction regarding tv in living room but made do. The tv in master bedroom did not work. Everything else was great. Kitchen very well equipped and beds clean and comfy. 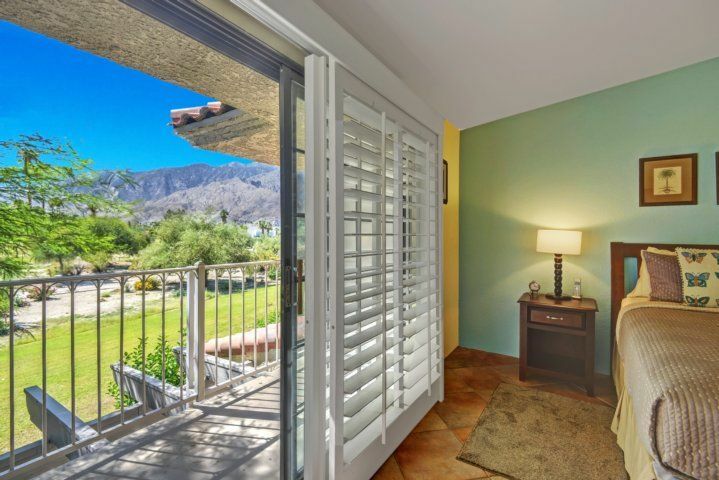 Wonderful central location for Palm Springs and situated on the golf course. Wonderful week.